One of the most outstanding achievements in the history of cinema, Citizen Kane ushered in the era of maverick directors stamping their films with grand personality and vision. Orson Welles assembles a masterpiece of virtuoso storytelling in recounting the amazing tale of a rich industrialist who has everything that can be bought and nothing that matters. Mega tycoon Charles Foster Kane (Welles) dies a lonely death in his enormous, lavishly furnished but mostly empty Xanadu mansion. His last uttered word is "Rosebud". Journalist Jerry Thompson (William Alland) is tasked with finding out what the word meant, and tracks down Kane's closest associates, including best friend Jedediah Leland (Joseph Cotten) and lifelong employee Mr. Bernstein (Everett Sloane), and through their anecdotes Kane's life story is revealed. Born to a poor rural family in Colorado, when he was a young boy Kane's mother Mary (Agnes Moorehead) inherited a piece of property where a massive gold deposit was unearthed. Kane's parents place him in the care of banker Walter Thatcher (George Coulouris) and send him away to get an education and see the world until his 25th birthday, when he inherits his massive fortune. Kane never gets over the shock of abrupt separation from his parents and happy childhood. As a rich young man, Kane has his pick of businesses to run, but decides to personally take control of the New York Inquirer, a struggling newspaper. He uses it as a pulpit to expose corruption, bolstering his popularity and influence, and he goes on to build a massive national media conglomerate. He marries Emily Monroe Norton (Ruth Warrick), the niece of the President, and sets himself up for a career in politics, initially running for the Governor's office. With Kane riding a wave of popularity and holding a seemingly unassailable lead in the opinion polls, his rival Jim Gettys (Ray Collins) exposes Kane's extramarital affair with lounge singer Susan Alexander (Dorothy Comingore), ending Kane's political career before it starts, and also destroying his marriage. Emily leaves him and he immediately marries Susan. Kane pours enormous resources to try and establish Susan as a serious opera star. As Kane grows ever more obsessed with seeking the world's approval, his remaining personal relationships start to suffer. And still, Thompson doggedly persists in pursuing what "Rosebud" could have possibly referred to. Coming from the world of theatre and radio, Welles was recruited to Hollywood by RKO studios and given complete artistic control. At 24 years old, he set about reinventing the movies, creating his own rules because he did not know that there were any that needed to be followed. The original artistry injected into Citizen Kane is one of the gateways to modern film, a suite of inventiveness that redefined the possible, and recast the role of director as an inspired visionary rather than a studio hack. 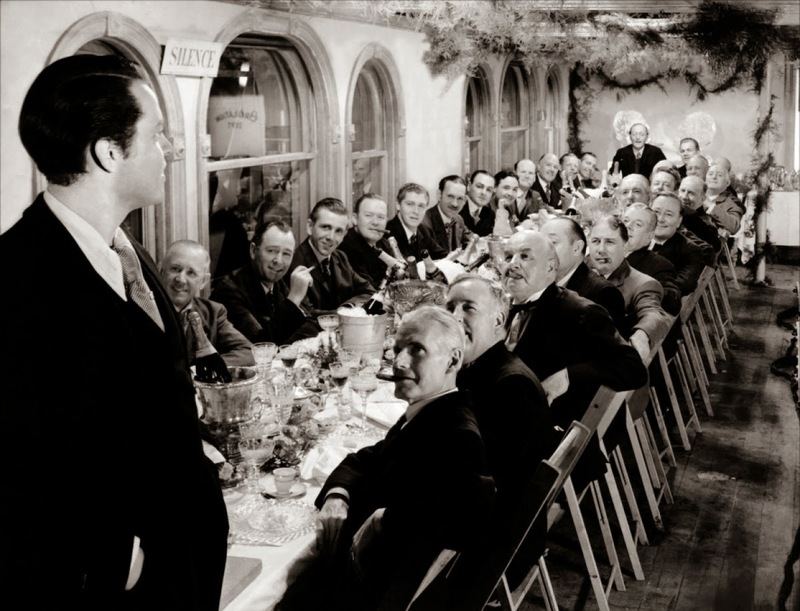 Welles sets a challenge for himself by removing all tension about how the movie will end, and establishing his protagonist as not very likable. The film starts at the end, jumps back to the beginning and then moves forward again, as Kane's colleagues recount their memories. That Kane dies a lonely death is not in doubt, and many of the people interviewed by Thompson don't seem all that enamoured by the old man. And so the introduction of the Rosebud puzzle becomes an ingenious plot device, a small word that may help to define a big man, a trivial mystery that propels a grand biography. And among Citizen Kane's ultimate triumphs is the transformation of one of the world's most powerful tycoons into a desperate man deserving of pity. Welles uses deep focus to fill the screen with layers of activity, all demanding attention. 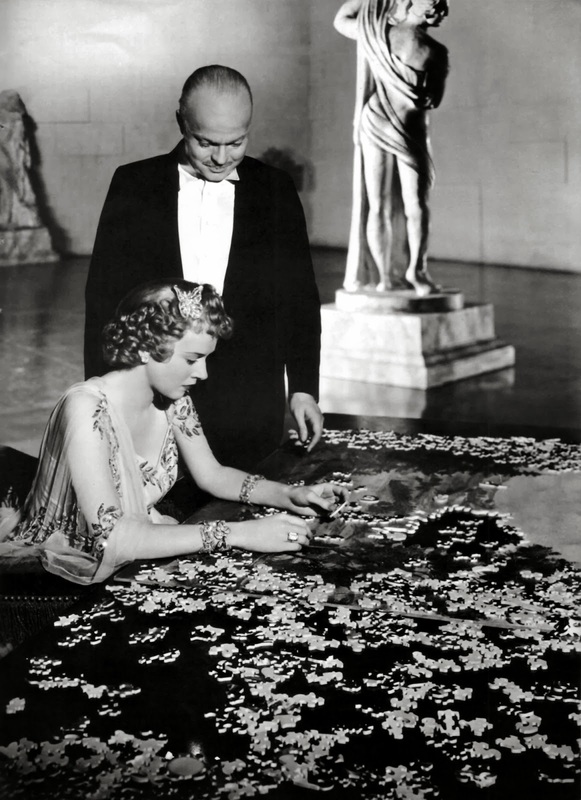 Citizen Kane is filled with shots where the closest item to the screen is driving events in the deep background, and the eye can choose to focus on the catalyst, the reaction, or both. There are also many scenes of countless people or items filling the screen as far as the eye can see, all in crisp focus, to convey the enormous scale of Kane's empire and influence. 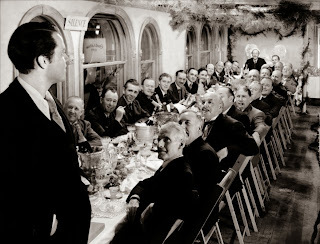 The camera placement is often as important as the unfolding events, Welles providing imposing perspectives, often filming powerful men from below to heighten their high levels of intimidation. When filming large rooms, the cameras capture impressive scope and the majesty of the space, either by demonstrating how full a large hall can be, or by emphasizing size through the cold stillness of under-utilized emptiness. Characters who serve to nudge the story forward but who are not essential to Kane's life are often filmed from the back, or with shadows obscuring their face. As for the essence of Citizen Kane, Welles and screenwriter Herman J. Mankiewicz were at least partially inspired by the real life story of William Randolph Hearst. The theme of the movie settles on the eternal quest for love and acceptance by a man who has everything except what he needs to close the hole in his heart. Money can buy everything except inner peace, and Kane obsessively attempts to gain the adulation of his newspaper readers, his political supporters and the two women in his life. Often substituting material things for meaningful caring, Kane may have infinite financial resources but limited emotional competence, and money without soul cannot warm the heart. But maybe Rosebud could. Thompson: Mr. Kane was a man who got everything he wanted and then lost it. Maybe Rosebud was something he couldn't get, or something he lost. Anyway, it wouldn't have explained anything... I don't think any word can explain a man's life. 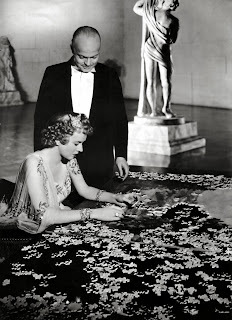 No, I guess Rosebud is just a... piece in a jigsaw puzzle... a missing piece. 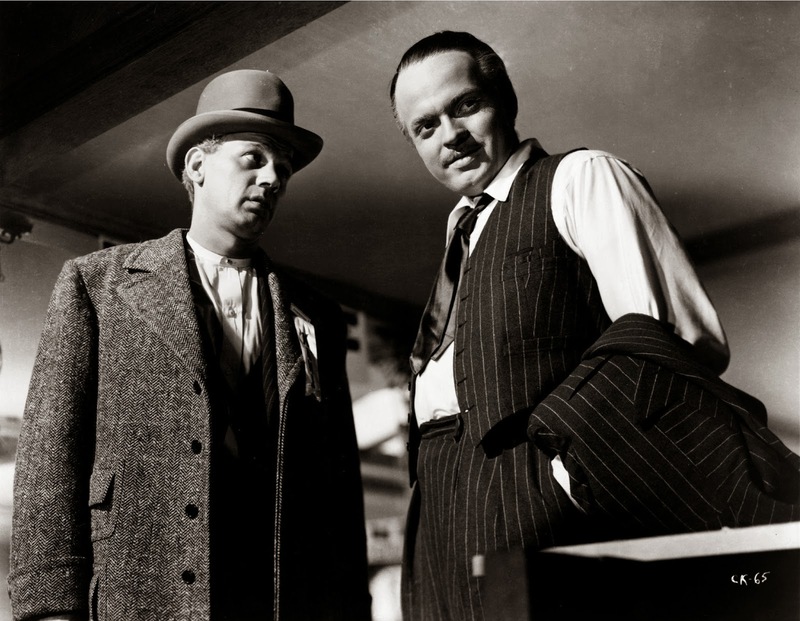 Citizen Kane captivates and enthralls, a film as powerful and commanding as Charles Foster Kane himself.